【步步高】2017版高考英语一轮复习 Module 3 The Violence of Nature课件 外研版必修3.pptBook 3 Module 3 话题晨背积累写作素材自主排查夯实基础知识边讲边练突破核心考点在高考语境中提升解题技能话题词汇话题词汇话题晨背积累写作素材 1.earthquake n.地震 2.fire n.火灾 3.flood n.洪水 4.burn v.燃烧 5.destroy v.破坏 6.rescue v.援救 7.survive v.幸存 8.die out 灭绝 9.lead to/contribute to 导致 10.in harmony with nature 与自然和谐相处经典语篇经典语篇为纪念汶川大地震三周年,某英文报发起关于灾区新貌的征文活动。请根据以下图片提示,以“ Great Changes ”为题,用英语写一篇短文应征。内容要点如下: (2011 ·福建)1. 某中学灾后三年来的变化,如教学与活动场所,以及师生精神面貌等; 2.发生变化的原因; 3.你的感想。注意:1.短文标题与开头已给出,不计入总词数; 2.可根据图片提示适当发挥; 3.词数 120 左右。 Great Changes I am deeply impressed by the great changes that have taken place in the school over the past three years. 佳作欣赏佳作欣赏 Great Changes I am deeply impressed by the great changes that have taken place in the school over the past three years. On May 12,2008 , a severe earthquake destroyed almost everything in the school , leaving badly- - damaged buildings ①. It is now , however , taking on a new look.Tall buildings have been put up , including classrooms and laboratory buildings , and a library.There is also a newly - built standard playground.In the new environment , teachers and students are living happily and working hard. It is really amazing that the once - ruined place has now been turned into a beautiful school , full of life. ② Obviously , without the help of the whole society , there would be no new school today ③.It is love and concern that have brought about the great changes. ④ Many hands make light work.We can work wonders if we unite as a family, caring for each other and helping those in need.Union is strength. 思维发散思维发散 1.仿照第①句用现在分词短语作结果状语完成句子体育馆的建设引起了很大的噪音,这使附近的人们很难入睡。 The construction of the gym caused much noise , .2.将第②句改为 what 引导的主语从句 making it difficult for people nearby to sleep What is really amazing is that the once - -ruined place has now been turned into a beautiful school , full of life. 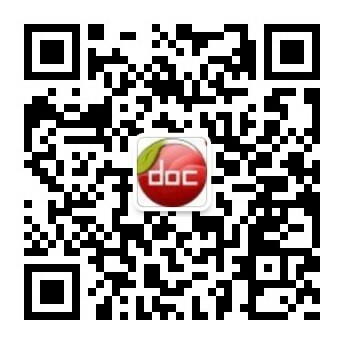 答案答案 内容来自淘豆网www.taodocs.com转载请标明出处. 2016高考英语一轮复习 Module 3 The Violen..
高考英语 module 3 the violence of nature..
人教版 模块3 Unit1 Festivals around the ..